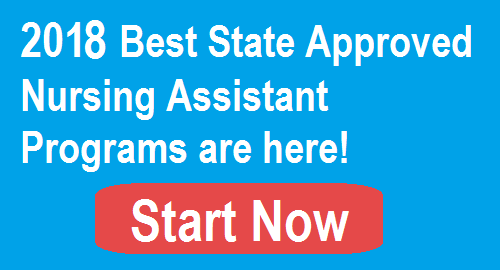 In most cases, becoming a Certified Nursing Assistant (CNA) in Maine requires completing a state-approved training program and passing a skills competency test. Individuals can work after being listed in the Maine Registry of Certified Nursing Assistants. There is also a temporary Registry listing provision for people training as CNAs at nursing facilities and out of state CNAs who complete certain requirements. The Maine Division of Licensing and Certification maintains the Registry. CNAs in Maine ensure, under the supervision of a registered professional nurse, continuity of basic client nursing care services in long-term care facilities and other healthcare settings. The different paths to becoming a Certified Nursing Assistant in Maine are designed to accommodate people who have or have not had previous nursing assistant training. Certification requirements for new CNAs include completing a state-approved CNA program in Maine and taking a competency exam. The first step is deciding which route fits an individual’s personal situation. If CNA training is not required, the person will skip the training steps and go right to the competency exam step or Registry step. A Certified Nursing Assistant is also called a Certified Nurse Aide by various employers. A person authorized to work as a CNA is listed in the Maine Registry for Certified Nursing Assistants & Direct Care Workers (Registry). A new CNA will complete CNA programs in Maine and pass the Maine CNA competency test before requesting Registry listing. The application for Registry listing must be submitted within two years of completing nursing assistant training. The CNA Bridge Examination is a competency test composed of a set of multiple-choice questions and a clinical skills test. For both exceptions, a temporary listing in the CNA Registry is only valid for four months and cannot be renewed. Without a temporary Registry listing, an out of state CNA cannot work until the application to become a CNA in Maine is approved. If unable to prove completion of an out of state CNA training program, the individual will have to complete a Maine CNA training program and Maine competency test. A military individual who trained as a nursing assistant or military equivalent while in the service can apply for Registry listing by providing documentation of equivalent CNA training. The individual must take and pass the Maine CNA competency test. Nursing students can apply for Registry listing by submitting documentation of equivalent CNA training, i.e. completion of basic nursing course and clinical training. A Registered Nurse (RN) or Licensed Practical Nurse (LPN) can also apply for Registry listing. The RN or LPN must have a current and active license. Foreign-trained nurses can apply for Registry placement by providing proof of equivalent training or the earned degree. CNA classes in Maine are located in various educational institutions around the state at adult education centers and technology schools. Students can also train in long-term care facilities by completing online classes and clinical training in the facility. The length of CNA programs in Maine varies from two months to approximately 17 weeks. The tuition and fees also vary from $600 to over $1,300. However, some program costs posted online include expenses for books and lab fees, while others do not. The total costs of CNA training typically include tuition, fees, textbooks, supplies, uniforms, health exam fees and certification exam fees. Be sure to include all costs in the total amount needed for training. Individuals who qualify for financial aid usually obtain funding in the form of scholarships, private grants or Workforce Innovation and Opportunity Act. Free training is available to individuals who train and work in a long-term care facility. The student’s training costs are paid by the employer, and the student earns money while working. The law allows a person to work for up to 120 days without certification as a nurse aide. The other way to get all or some training costs covered is to find employment in a nursing facility within 12 months of completing training and earning certification. The employer will reimburse training expenses on a prorated basis. For example, if an individual is employed six months after CNA training and certification, the employer will reimburse half of the training costs. The Maine Board of Nursing, working with the Department of Education, is responsible for prescribing the curriculum for a CNA training program. The state requires significantly more training hours than federal law requires. A Maine Nursing Assistant training program must include 90 hours of classroom instruction, 20 hours of laboratory training and 70 hours of clinical practice for a total of 180 hours. A CNA with a minimum of one year of full-time nurse aide work experience can take a state-approved medication course and become a Certified Nursing Assistant-Medications (CNA-M). To enroll in the course, the Certified Nursing Assistant must also demonstrate at least a tenth-grade competency level on a TABE test or equivalent test. A CNA-Medication Aide can administer designated non-injectable medications in long-term care nursing facilities, county jails, state mental health institutions, assistive living facilities and state correctional facilities. The Maine CNA examination is administered at test sites located in Career and Technical Education Centers. The testing process consists of two parts. The Written Test is a multiple-choice exam that has 60 questions. The questions are drawn from the material taught during a state-approved training program. A passing grade is 72 percent. The Skills Test requires an individual to complete 10 nurse aide tasks. To pass this part of the exam requires passing a minimum of 7-out-of-10 CNA skills. Once an individual has completed CNA training and passed the nurse aide certification exam in Maine, he or she can submit an application to be placed on the CNA Registry. The application explains required documentation. CNA Certification is active for two years in Maine. To stay active on the Registry, individuals must work at least eight (8) hours as a Certified Nursing Assistant during the 24-month certification period. The renewal date is based on the individual’s birth date. The employer provides verification of employment to the CNA Registry. The first certification cycle may be less than 24-months, depending on when the person’s birth date falls, but after that renewal is required every two years. All CNAs are required to complete in-service education, but only those employed by long-term nursing facilities are required to submit documentation to the Maine CNA Registry when renewing certification. If CNA certification lapses, the individual will need to contact the Maine Registry which is part of Licensing and Regulatory Services. The Registry will determine the steps an individual must take to renew certification. It may require retraining, retesting, both or neither. In some cases, individuals are required to take a refresher course. It depends on the circumstances and the reasons for the inactive certification.